Michael Chapman has been named chair of the Department of Biochemistry at the University of Missouri, effective July 16, 2018. Biochemistry is a joint academic unit within the College of Agriculture, Food and Natural Resources (CAFNR) and the School of Medicine at MU. The department is noted for interdisciplinary research and effective instruction. Chapman is the Richard T. Jones Professor of Structural Biology and interim chair of the Department of Biochemistry and Molecular Biology at Oregon Health and Science University. Before joining OHSU, he was a faculty member in the Department of Chemistry and Biochemistry at Florida State University. His most recent administrative experience includes serving as director of the Quantitative Biosciences and Biomedical Engineering Training Program at OHSU. At Florida State University, he served as director of the Center for Excellence: Biomolecular Computer Modeling and Simulation and as associate director of the Institute of Molecular Biophysics. Chapman is a fellow of the American Association for the Advancement of Science. His research uses a variety of biophysical and other methods to examine structural biology of viral/host interactions and enzyme dynamics. 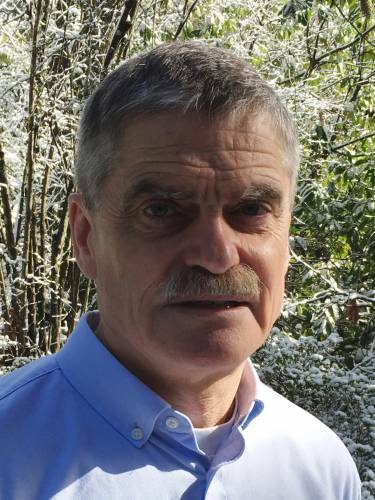 He has served as chair of the Gordon Research Conference: Diffraction Methods in Structural Biology, and for the National Institutes of Health on Macromolecular Structure and Function panels and chairing reviews of National Centers. Chapman is currently principal investigator on the NIH National Institute of General Medical Sciences’ Maximizing Investigators’ Research Award, “Adeno-Associated Virus Gene Therapy Vectors: Molecular Interactions on Cell Entry.” Chapman’s research on this topic has been published in Nature, among other journals. He received a doctorate from the University of California, Los Angeles. He earned a master’s degree from University of London, Birkbeck College.